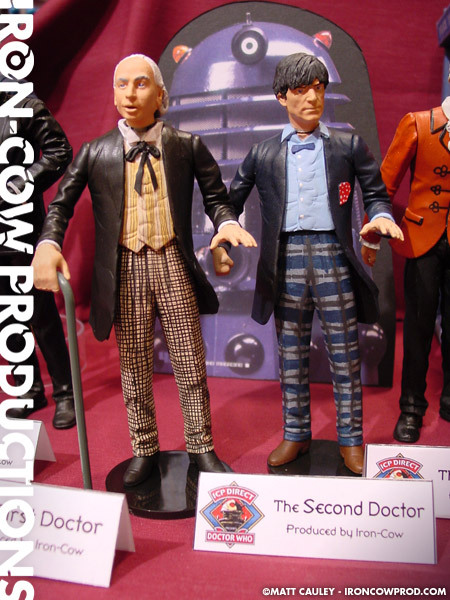 The Second Doctor was played by actor Patrick Troughton, as seen here in a plastic version. 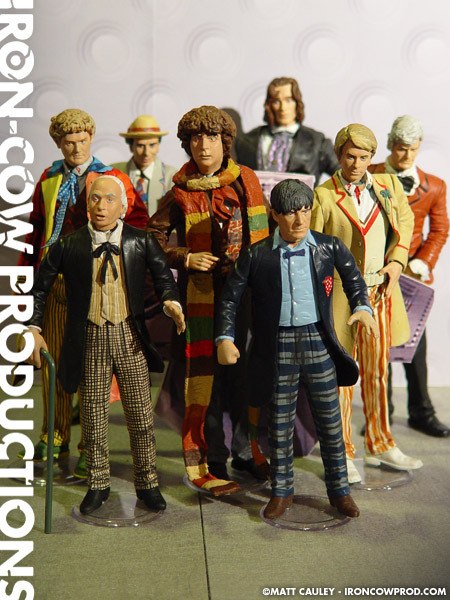 This Doctor uses a similar recipe to that of the First Doctor: both use the DC Direct Elijah Snow (Planetary) figure as a base figure. 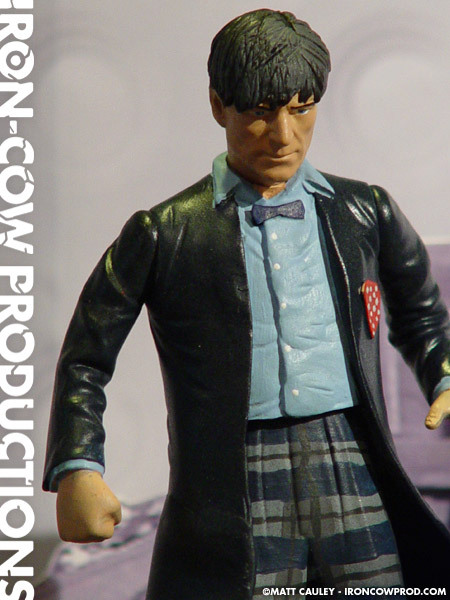 The Second Doctor borrows a head sculpt from a Jean Luc Picard Star Trek action figure with Kneadatite added for hair. 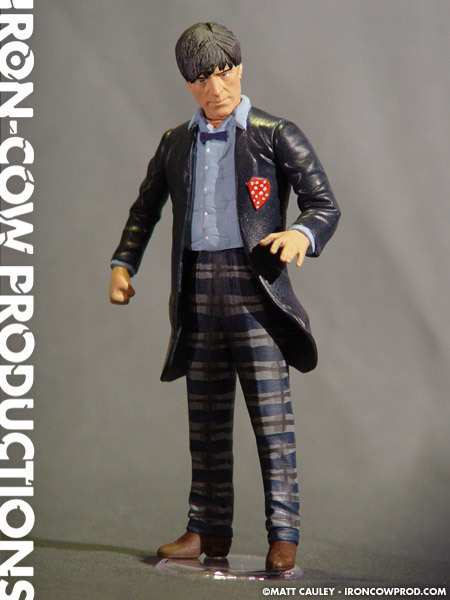 Clear vinyl extends his jacket and provides the foundation for a handkerchief as well. I had made an earlier attempt with this custom as well, though I abandoned it after the collaged patterns didn’t work out. I made a second attempt with a new base figure and I’m far happier with the results. 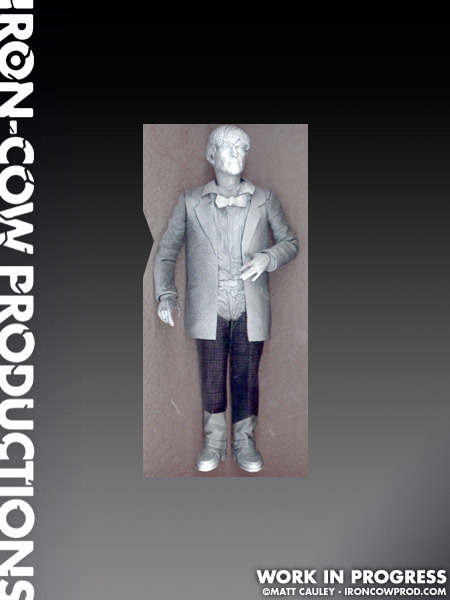 The first, rejected prototype can be seen above. While not a bad attempt, I didn’t care for how it was progressing and decided to abandon the collaged fabric in lieu of hand painting the patterns.